Phuket – 20 January, 2016: JW Marriott Phuket Resort & Spa’s the leading resort for conferences, catering, events, weddings and accommodation has won the prestigious ‘Best Resort Hotel for Business Events’ by CEI Reader’s choice awards 2016. To be bold on this achievement, JW Marriott Resort & Spa is only resort in Thailand that has achieved this International acclaimed award & recognition. Phuket is also named the best resort destination among Bali and Kota Kinabalu. For the past 15 years, CEI Asia’s annual industry survey has showcased the best in business events as chosen by their readers, providing valuable insights into the destinations, hotels, bureaus and event agencies that those buyers and event planners from across Asia consider to be their preferred choices. This year, The announcement of winners from 12 categories among from Best City Hotel for Business Events, Best City for Business Events, Best Resort Hotel for Business Events, Best Venue Team in Asia Pacific, Best New Venue Opening, Best Convention and Exhibition Centre, Best Convention Bureau, Best Resort Destination, Best Airline for Group Travel, Best Emerging Destination, Best Long Haul Destination and Best Business Events Agency. “We are thrilled that we have been voted by CEI Asia’s reader in their annual Readers’ Choice Awards as one of the Top 3 resort hotel’s for business events in Asia. CEI is a leading Asia-Pacific’s source for the conference, event and incentive travel industry. We are very proud and humbled that our clients and industry alike have recognized our commitment to service excellence. Again, this is brilliant news and I couldn’t think of a greater way to start 2016 and be recognized by our peers” said, Mr. Oriol Montal, General Manager of JW Marriott Phuket Resort & Spa. Whether its meetings, events or a weddings, conferences, incentives or corporate retreats, JW Marriott Phuket Resort & Spa combines both business and relaxation with a world-class meetings and events facilities and impeccable teams to be served for every event. 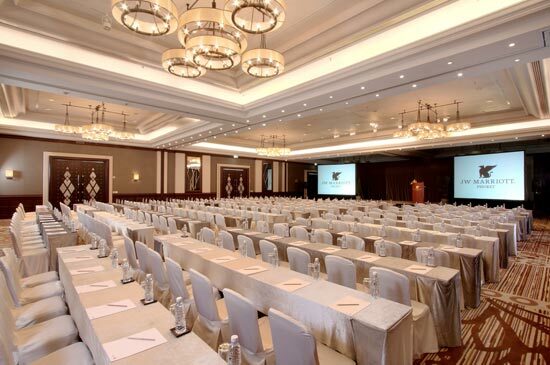 The hotel provides 10 meeting rooms and boasts a 636 sqm. Mai Khao Ballroom that can accommodate up to 450 guests. Featuring state-of-the-art latest audio visual system with natural daylight and flexible to breakout rooms. 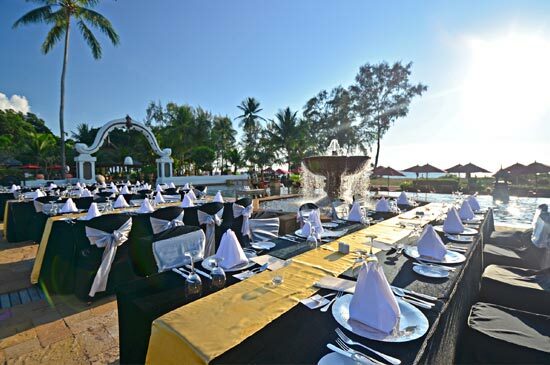 The pristine beachfront with breathtaking tropical setting that can seats up to 600 given the clients a choice of indoor and outdoor venues for MICE and weddings. As milestones, the hotel has successfully achieved gaining large scale events both locally and internationally for industries such as Corporates Technology, Financial, Travel and Incentives with the most recent been a top-notch Italian luxury sports car model that launched their latest model in Phuket for the Southeast Asia Regional market. The hotel also has a great reputation as a specialized wedding venue for both Indian and destination weddings.